Track Straight 2 Sleep Ads! 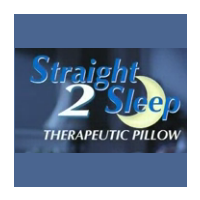 Sign up to track nationally aired TV ad campaigns for Straight 2 Sleep. Competition for Straight 2 Sleep includes American Signature Furniture, My Pillow, Pillow Pets, Zipit Bedding, Bedgear and the other brands in the Home & Real Estate: Furniture & Bedding industry. You can connect with Straight 2 Sleepby phone at 1-800-979-6964. We have seen no national TV commercial airings from Straight 2 Sleep.